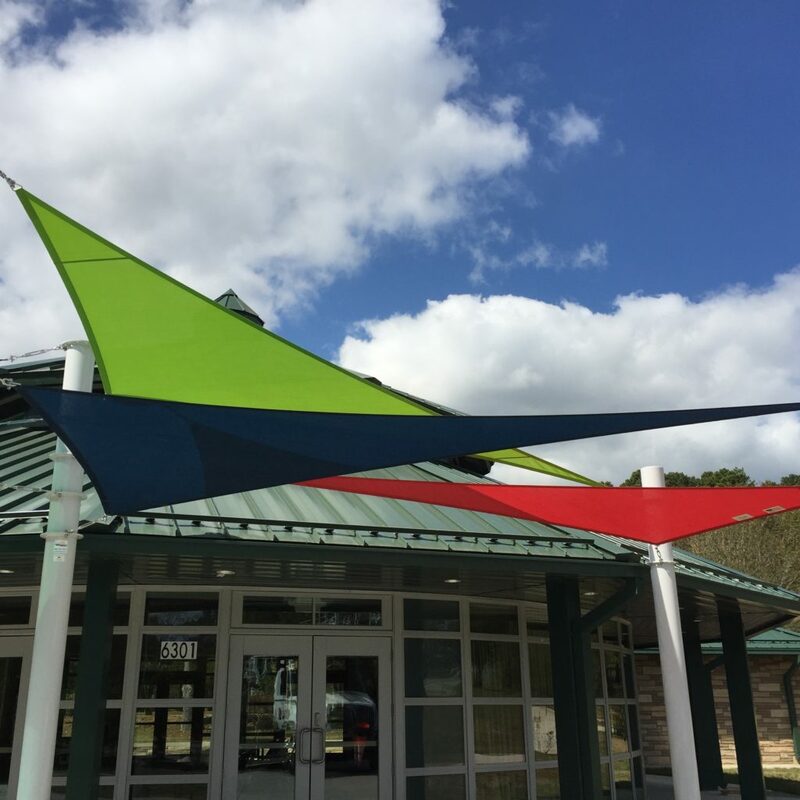 CarolinaShadeSails offers both pre-engineered and custom designed fabric structures for commercial and residential use. Whether it is aesthetics you are looking for, an architectural element, or simply to reduce the intensity of the sun’s rays we have a solution. Carolina Shade Sails is a certified Apollo Dealer. Our team is committed to meeting your needs. We strive to deliver consistent, high quality products and customer service. We appreciate you and your business. Our Passion– Sun Protection is our priority. The increased awareness of Skin Cancer and the effects of the sun have inspired us to create new and better designs, utilize better fabrics, threads and installation techniques while keeping the designs unique, colorful and aesthetically pleasing. Our Team – Our team of professionals are experience in both custom design structures as well as re-designed and pre-engineered structures. Our experience in the field of tensile fabric structures is unmatched. We have the expertise required to meet your design challenges. Our professional staff of fabric experts, innovative engineers and designers, and customer service specialists ensures your project is a success.